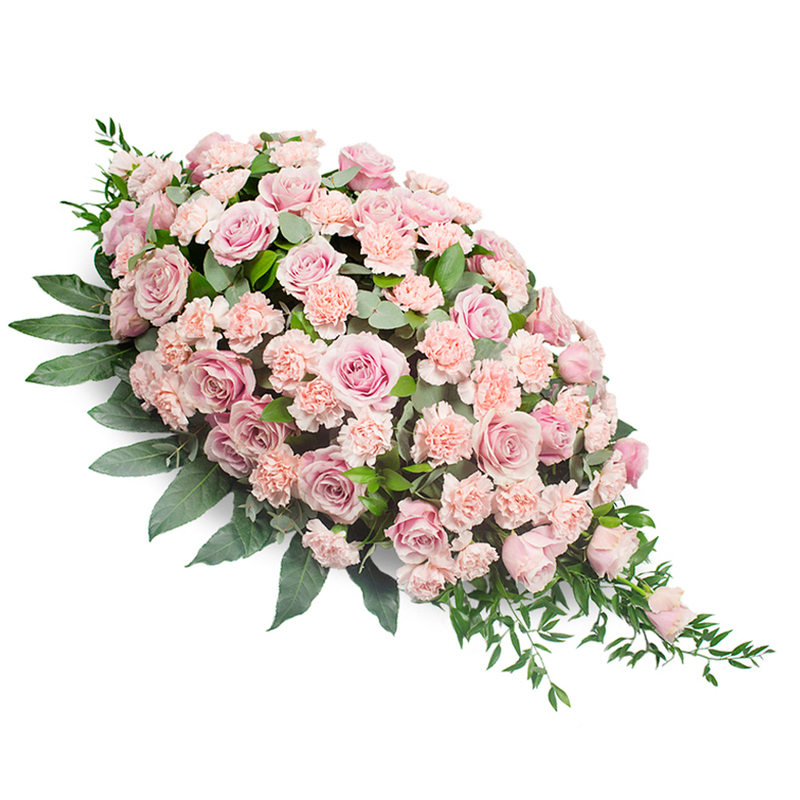 Fresh and elegant, this lovely spray is made of pink carnations and pink roses which are framed by aral leaves, ruscus and eucalyptus leaves. It is a thoughtful expression of support and concern. I received a call from the funeral director confirming that the flowers were delivered. he also mentioned that they look very beautiful. Delivered on time with a Guaranteed before noon shipping. It was very convenient to select the time of the delivery. Good and reliable flower shop! Good florists seem to be hard to find these days. However, Handy Flowers proved to be working with the best ones! The arrangement was brilliant. Thank you very much!